“[A]n impressive account of the origins and development of what is now a tradition of Jewish writers in Vienna. 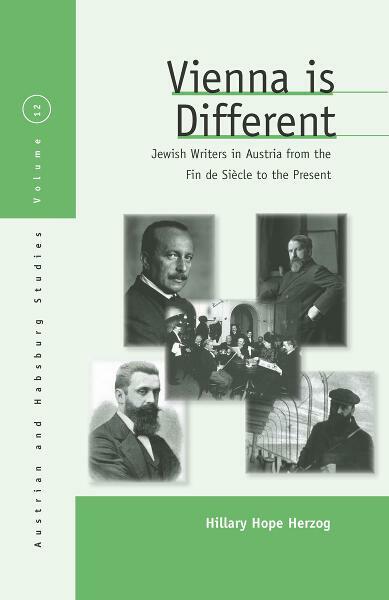 The author does a very good job of presenting the very large subject she has taken on and of putting the turn-of-the-century writers within a chronological context that brings out how a ‘tradition’ of Jewish writers in Vienna has developed over the last century…This is an impressive contribution, with a welcome approach.” · Steven Beller, Washington D.C.
Hillary Hope Herzog is Associate Professor of German Studies at the University of Kentucky, where she works in twentieth-century German literature, Austrian Studies, and the field of medicine and literature. She is co-editor of Rebirth of a Culture: Jewish Identity and Jewish Writing in Germany and Austria Today (with Todd Herzog and Benjamin Lapp, Berghahn 2008) and the Journal of Austrian Studies.